Several years ago, I was home for a weekend, and mom showed me some art. 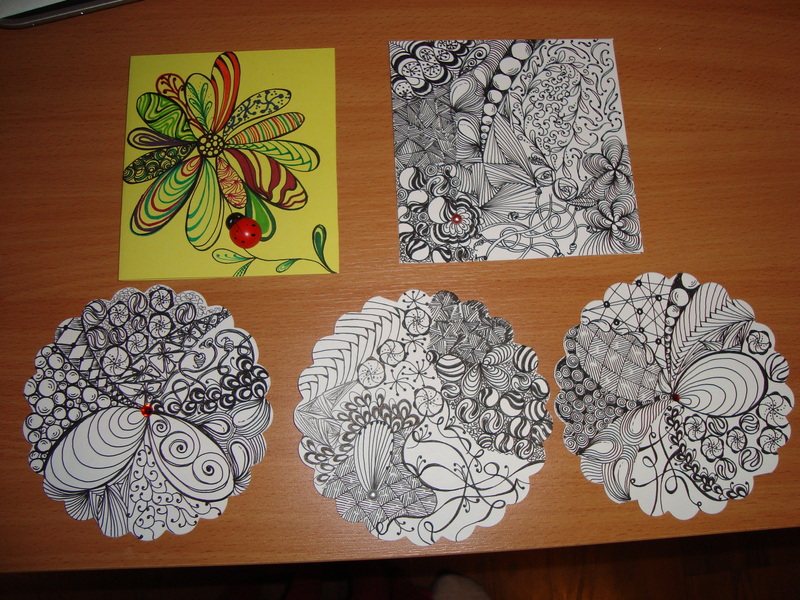 Its official brand name is called Zentangle*, and it was created by Rick and Maria, who give classes to train and inspire people with this kind of art. Some people feel uncomfortable with that name, so they call it ‘pentangle’ or ‘creative doodling.’ Either way, it’s a kind of art she thought I might like. Technically, every pattern has its own name but I don’t know any names. I just find a pattern I like, and do it. You start with a square or circle or any shape, and with a pencil, draw random lines and swirls, and then use a pen to fill in those shapes with designs of your choice. Afterward, erase the pencil lines. but when I leave the house, all I take is one pen (usually black gel) and one small hardcover unlined notebook where I practice and can slide in a card or two to work on. I’ve stopped doing much work in the notebook except for practicing patterns a little, because I’d rather put that time into something useful. So I make cards. I LOVE buying cards, but I’ve hardly bought any the past couple years. One thing better than buying (or getting!) cards is making them. 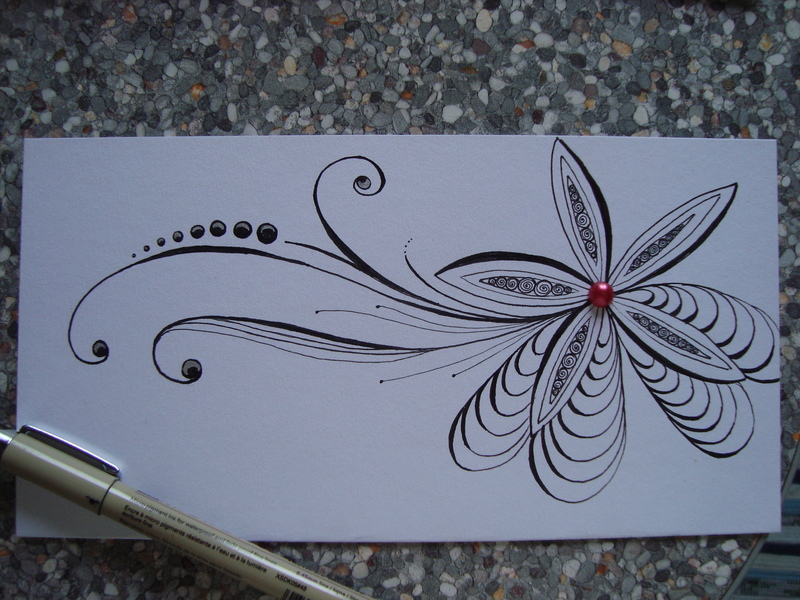 One of my favorite things to do in the evening is to sit down with my pens and a blank card, listen to something, and doodle. Pop a little jewel sticker on somewhere, and that’s it. They’re not witty or gilt-edged or elaborate, but they’re original and full of heart, which is what a card is about, isn’t it? 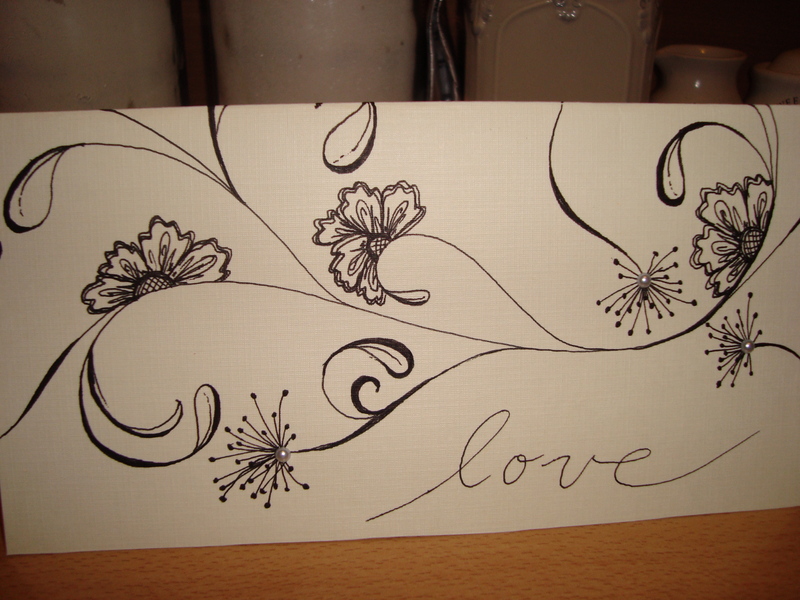 The middle one was a wedding card. The round ones are die-cut cards I bought really cheaply at Michael’s when I was in the US a couple years ago, and now I just cut my own from card stock. I experiment with colors of paper and ink, but always go back to the classic black on white. I like the rich darkness of a gel Pilot pen,(but it smears if I’m careless) but micron pigma pens are also nice because the different size nibs give you texture and variety. I’d like to learn more about shading, but so far, I’m scared that using a pencil to shade will get too smudgy. The post-modern mantra that some of the artists use in this is “There are no rules.” But I disagree. My rules have to do with texture and balance. 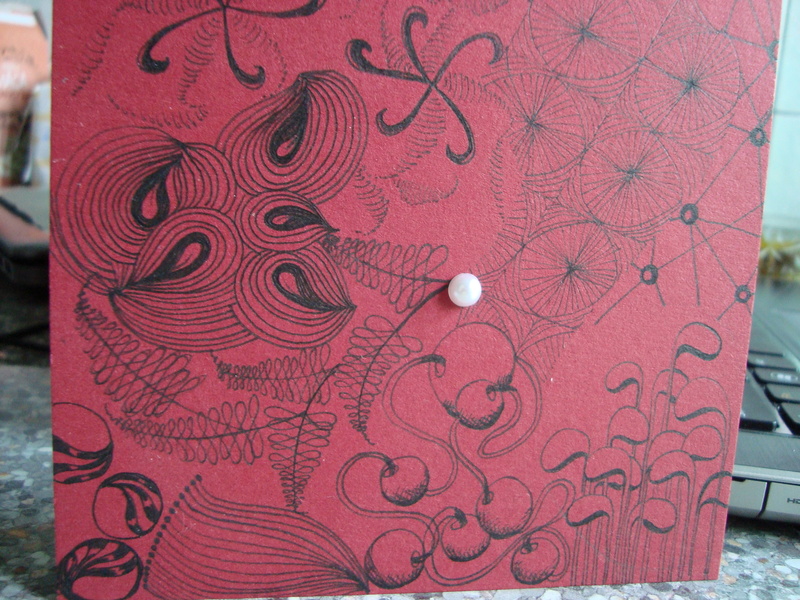 I want the eye to move around the page, so that not everything is immediately apparent. I like starting a piece and not knowing what it’s going to look like in the end. 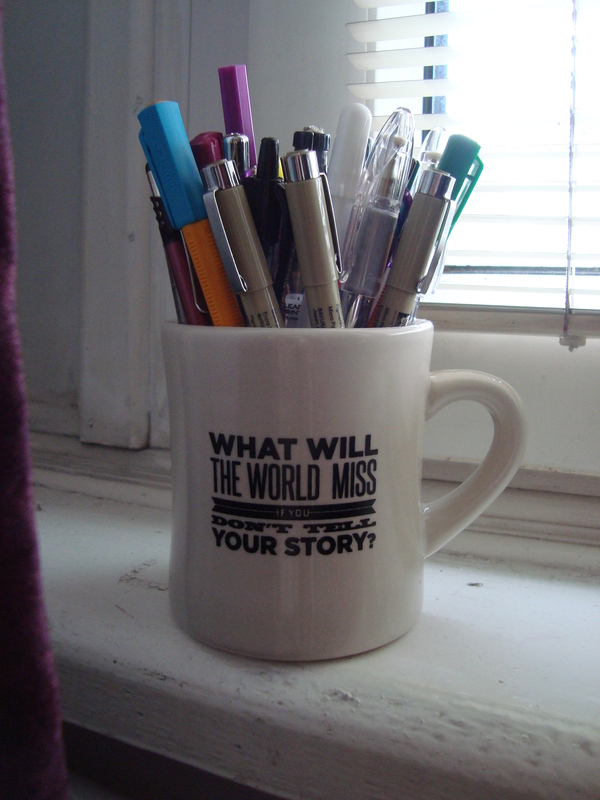 I like the tactile limitations of pen and paper, and the mindfulness it demands. Disclaimer: This is NOT something to do when listening to a boring lecture or message. I always dislike when my students doodle while I’m talking, so I try to give speakers the attention they deserve, and you should too! You know as well as I do that our world is increasingly narrowing into digital medium. Have you never spread out your fingers on a book page to make it bigger? That’s a dead give-away that means you need to do something creative with your hands. 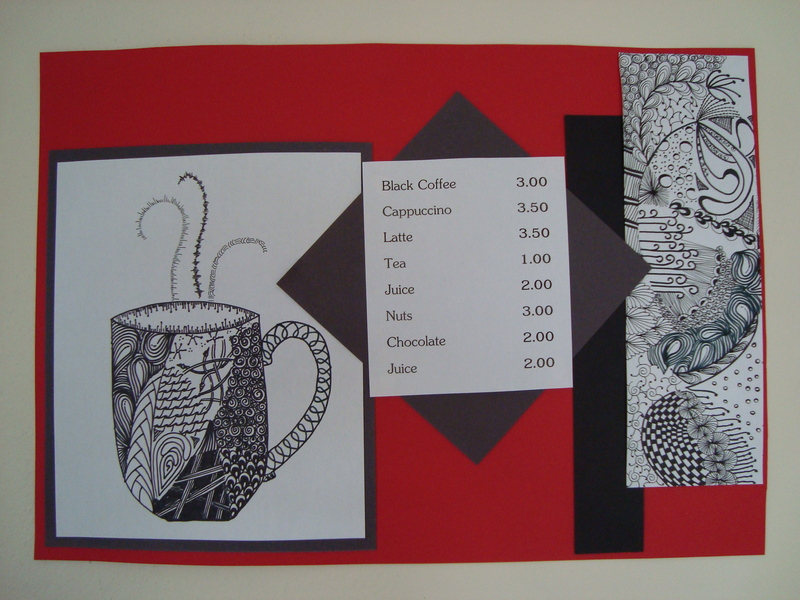 Zentangling is one of my methods of finding alternatives to a digital world. I believe very strongly that we are more whole people if we use our hands to make something that didn’t exist before. You can do this in a myriad ways: plant seeds, make kefir, cut an onion for soup, wash a window. Not only is hand-work practical, but it involves the whole person, and releases tensions that get knotted up if you’re just being sedentary all day. I found this art in a time when I was in deep depression, and it met a need I didn’t even know I had. Since then, my eyes have been opened to details of light and lines and design. I’ve discovered a new world I never knew before, and it even led me to dabbling in acrylic paint and chalk pastels, something I thought only artists or school children do. After a few years of experimenting and learning, I’m sort of starting to believe them. *Disclaimer: please don’t jump on me for the name. It’s just a word. I find no spiritual process in it, no zoning out, no meditation, no aligning my center. It’s just something I do with my hands that makes me happy on many levels. Is that fair enough? Thank God for google, eh? This kind of art would be great for children! I love this Anita! Fun, creative, and inspiring! Love how I’m always learning something about you/from you I didn’t know before! Now this kind of art would intrigue me. NEVER a real artist. 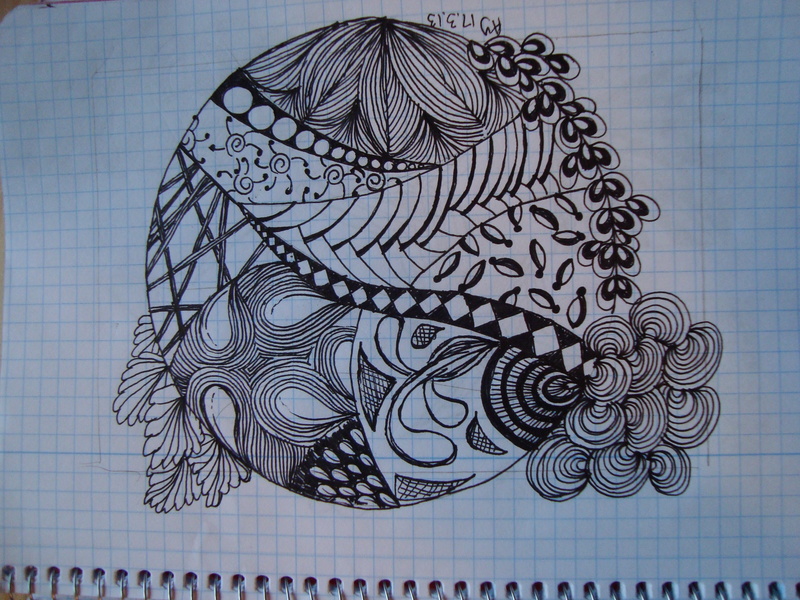 But if I do anything, I doodle. Maybe I should put time into it to improve. Sad to say, one of the times I tend to doodle is when I’m listening to a speaker on a subject that is boring to me, and I’m having a hard time staying awake. It’s the alternative to falling asleep. No, it doesn’t happen real often. Not anymore. I remember your mom talking about this a few years ago, and I always meant to check it out. I love the doodles you’ve done. Thanks, Jenn! You’d be great at it, undoubtedly! Thanks for the intro. I’m looking for more to give my students – and art stretches me way out of my comfort zone…maybe I could even do this. I’m sure you could do this, Karen! 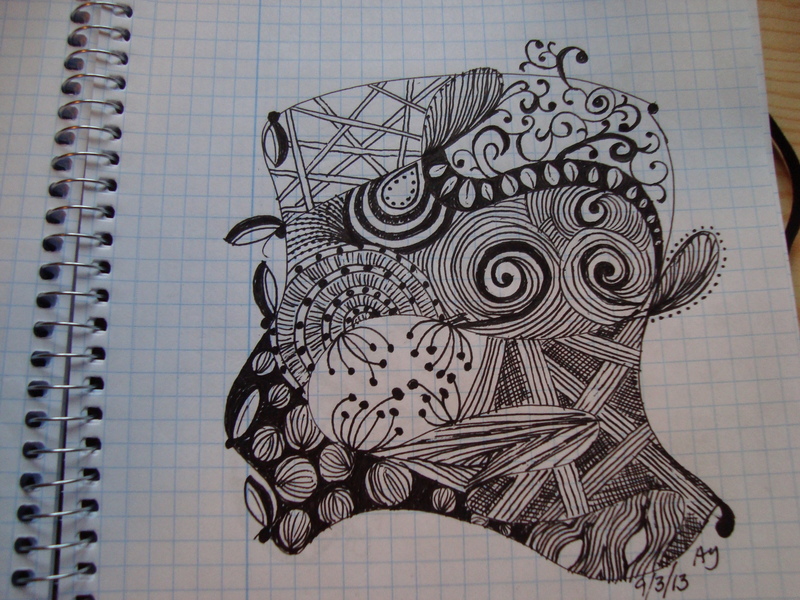 Actually, I really think you should encourage your students to doodle while you lecture! 😀 Google “doodling helps you pay attention” and you’ll see why I say that. Oh yes, another idea for art! Thanks, Anita. I would teach that class for you if I had the chance, Sharon–it’s so much fun to share it! Very pretty! We’ve found some printables online that the children like to do but I think I need to try free handing. Thanks so much! I’ve been wishing for some more artsy/creative projects for my daughter. She is enjoying making cards and I think this is just the thing. I just googled and found some great printables. I would have never discovered this without you! that is lovely and something I think I would enjoy…thank you for sharing!